This essential seminar covers the developments in estate, financial, tax and risk management associated with collecting art. The workshop will be led by Harry A. Papp, CFA. Papp is a seasoned portfolio manager with 35 years of experience in the field. 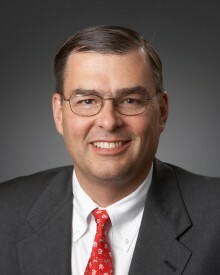 He is a managing partner of L. Roy Papp & Associates, LLP, where he oversees the firm’s private client business. Papp is a community leader, serving on the Board of Directors of Blue Cross Blue Shield of Arizona, Phoenix Zoo, Arizona State University Foundation, Arizona State University’s Institute for Human Origins, Community Health Charities of Arizona and Five Arts Circle. He also serves on the Planned Giving committees at the Heard Museum, Desert Botanical Garden and Phoenix Art Museum. To learn more or to register for the workshop, please contact Rebecca Simpson at 602.251.0245 or email rsimpson@heard.org. Participants should register by calling Rebecca Simpson at 602.251.0245 or sending email to rsimpson@heard.org.